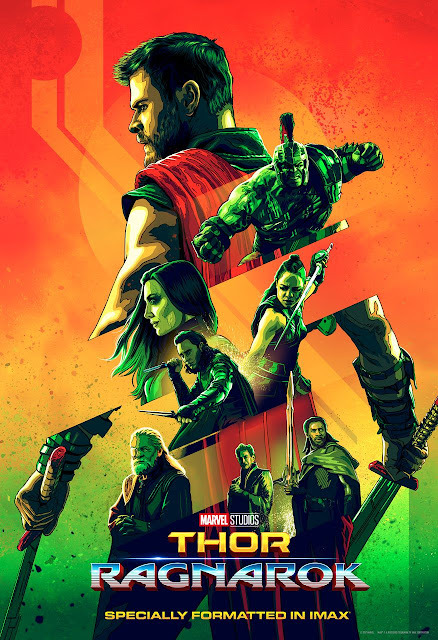 Thor: Ragnarok is a much needed infusion of originality in the Marvel cinematic juggernaut. Most the Marvel movies are enjoyable but tend to lean towards formulaic plots outside of some rare exceptions. Thor: Ragnarock is a solid step outside of the tried and true Marvel formula delivering a huge dose of wacky fun. Taika Waititi delivers a film brimming with fun from start to finish. It’s a Technicolor fever dream that feels like a thoroughly enjoyable acid trip. Stripping away the self serious tone of most comic book movies and going for a more comedic tone pay huge dividends. Chris Hemsworth has always been a strong comedic actor and this slant plays well for him. As a result, Hemsworth is free to deliver his best “Mimbo” interpretation of Thor. The supporting cast embraces the lighter tone and everyone seems to be having a ball. Tom Hiddleston keeps Loki interesting while lightening him up a bit. Mark Ruffalo and Tessa Thompson are great counter balance to Hemsworth’s Thor with both doing strong work. Cate Blanchett gleefully vamps it up as primary villain this go around. If there’s a bit of a negative about Blanchett’s character it’s that she’s not given much to do except wait for Thor to come back to Asgard so they can get to the final battle. It’s a real shame because she’s really impressive in her screentime, it would have really made the film even better had she’d been given something more substantial to do. It’s a minor quibble for the film which really is one of most fun superhero films of the year.